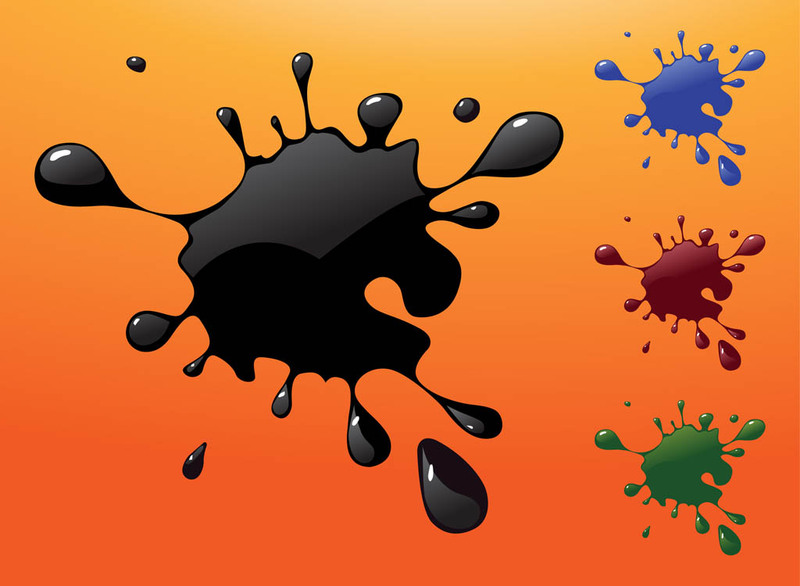 Grunge vector footage of random paint blobs in different colors. Splatter graphics with glossy finish, small drops and dripping paint. Free vector decorations for wallpapers, backgrounds, posters, flyers, banners, clothing prints and stickers. Splatter blobs for graffiti and street art visuals. Tags: Decorations, Drops, Graffiti, Shiny, Splatter, Stained.